Can car accident investigations help you? It’s no secret that the Kardashians like to stay in the news. After all, that’s what keeps their empire rolling. Whether Khloe is trying to get over Lamar Odom by dating French Montana, or Kim putting together a book of selfies taken over the course of a year, the publicity machine that the family has built keeps going…for better or for worse. The latest news on the latter involves 17-year-old Kylie. She is alleged to have caused an accident after making what is reported to be an illegal u-turn. She is alleged to have smashed into another vehicle in the process. The attorney for the person reportedly injured in the crash says that Kylie was “aggressive” towards her and even offered to pay her in order to keep the matter quiet. Indeed, these may be inflammatory allegations, which is why it is important that a thorough investigation take place. Asking questions and gathering information helps to move past the “he said, she said” and arrive at concrete answers. 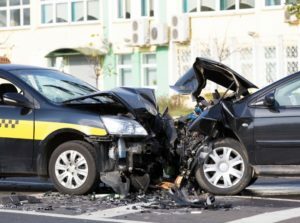 For those who have been in an accident, it is not always easy to make a clear recollection of all the events that occurred, especially in violent, traumatic accidents. Because of this, the work of accident reconstructionists may be helpful in clearly detailing what happened. Additionally, an investigation can help determine who was at fault, even if no one person was negligent. It is possible for an investigation to reveal a mechanical defect that a driver would not have discovered. If you have questions about accident investigations, an experienced personal injury attorney at Leiferlaw can help you to get the answers.